timetunnelmodels has no other items for sale. All sales to EC countries include VAT at the current UK rate. VAT receipts are only issued upon request. 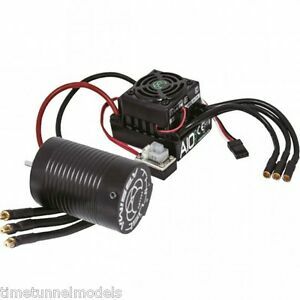 Time Tunnel Models Standard Terms and Conditions Of Sale - Online and Mail Order Sales The terms and conditions below do not affect your statutory rights. As many of the products we offer are of a specialist nature, please ensure that you read the appropriate section of our terms and conditions prior to placing your order. Some items we list are by their nature special orders and are obtained or even imported to the UK specifically to your order. If you are ordering these items which are essentially any item that is not listed where we have had to quote you a price, or any item where the phrase Special Order appears in the product title or description, please read the Important Variation To Return Policy for Special Ordered Items before you place your order. These terms have been carefully written in plain English for clarity. If you have any query, please contact us prior to placing your order as placing an order with us automatically implies that you agree with the terms below. POSTAGE RATES? Postage & Delivery rates can be found on the Postage and Packing tab on each item. Age & Age Restricted Items We are unable to accept orders from those under 14 years of age. In addition, the following products that we sell are age restricted. We are not permitted, by law, to supply to anyone under 18 years of age: - All aerosol sprays (such as spray paint for example) - All solvent based modelling paints and adhesives (super glues, tyre glues, modelling glues and modelling paints) - All knives, blades and other sharp edged items (such as wire cutters) - All compressed air canisters (e.g. 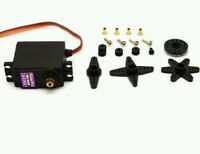 airbrush cans) We are also unable to supply any product which contains these items even if the item itself does not specifically name these age restricted items - for example radio control car deals with paint included. By purchasing any of the above products you are implicitly affirming that you are 18 years of age or older. Refusal to serve We reserve the right to refuse to supply any order placed without giving a justification. Placing an order does not constitute a contract until goods are dispatched from our premises. We reserve the right to cancel any sale after charging and prior to the goods leaving our premises, in which case a full refund of any amounts already charged will be made. We reserve the right to refuse future orders in the event of higher than normal claims of non delivery or claims of non delivery where tracking states otherwise. Mistakes and Corrections Due to the size of our site, it is possible at times that products may be incorrectly listed that are no longer available, have had a specification change, or are no longer available at the listed price. It is also possible for an incorrect price to be entered during the ordering process. We reserve the right to refuse to serve in these instances. Paypal: Paypal is accepted from worldwide accounts. We reserve the right to require the delivery address to be both shown on the Paypal payment and shown as Confirmed or Seller Eligable. Financial Liability In all cases, our maximum possible refund payable will be the total paid to us by you. No payment or refund will be made for, but not limited to, disappointment, time lost or any consequential loss of any form whatsoever. Returns Policy – Faulty Goods Due to the nature of the products we sell, we request that all faulty goods be notified within 30 days of purchase. After 30 days, items which have developed a fault will be repaired under warranty (where applicable). In all cases, our maximum possible refund payable will be the total paid to us by yourself.. Genuinely faulty goods will be repaired, refunded, substituted or replaced as required. Please always contact us before returning goods. We do not require you to complete a specific "returns form", however we will require you to include your name and address details, date of order or order number and a brief description of the fault with all returns. Important - Return Carriage Costs: We have two returns services available for faulty goods - a freepost return service and for larger items we can arrange a courier. These are discounted services and will not require payment by you. You must contact us for such returns so that we can supply you with a freepost label OR arrange the courier (dependant on the item size). We will not refund the "public tariff" prices charged over the counter at the post office on returns - if you choose to pay for the return rather than using our pre-paid labels, we will not be able to refund any expenses you incur. We take the view that goods that have been damaged by misuse are not faulty. Therefore, we will examine all goods returned as faulty to determine whether the problem has been due to incorrect manufacture or simply user error – Refunds will not be given for products which have been damaged by misuse, although we will where possible advise the cheapest option for repair. In the case of faults with electrical toys, please double check all instructions and, where possible, seek advice from the manufacturers help line number if one is given on the box. Scalextric, Hornby and similar slot racing or railway sets: Usually only a small part is faulty on these, we will happily exchange that part if it is returned to us. Missing parts: Where parts are missing from an item, please let us know by email as soon as possible. We can usually supply replacement parts without delay. We do not refund purchases made at other retailers in the event that parts are missing from our goods, unless this has been agreed with us prior to the parts being purchased at another retailer. In all cases, our maximum possible refund payable will be the total paid to us by you. No payment or refund will be made for, but not limited to, disappointment, time lost or any consequential loss of any form whatsoever. Returns Policy – Change of mind You have 30 working days from the day you receive any part of your order to notify us that you wish to return the received item for refund. Each dispatch to you is treated as a separate contract and therefore a separate order for the purposes of returns. With change of mind returns, you are responsible for return shipping costs. The Consumer Rights Directive (2014) gives you the right to a cooling off period, i.e. a right to cancel your order within 14 working days following the day of receipt of the goods and return them for a refund. This applies to all our goods except special orders. It is your responsibility to give notice of your wish to cancel within this cancellation period by email, fax, letter or telephone. The goods must be returned in the condition they were dispatched, although you are allowed to have opened and examined the goods, as you would in a shop. You are not permitted to have used the item in a way that would not be possible in a retail environment. We would recommend for your own protection that you use a tracked delivery service, as the items remain your responsibility until they are received back at our store. You have 30 days from the date we acknowledge your request to return in order to return the goods. We reserve the right to refuse and return to you any goods returned without prior notification. Christmas: It is assumed that any purchase made in November or December is for Christmas and therefore any purchase during these months can be notified for change of mind return until 10th January. Please note: On Change Of Mind returns, Carriage Charges selected that upgrade from our regular "No Rush" service are non refundable. Our rates can be seen at the bottom of the page - for the value of your order, we will deduct the difference between the No Rush option and the option chosen from any refund, this is because the service is considered an additional purchase which has been correctly supplied and enjoyed. Duty of care: You must take good care of any product that you intend to return to us. By using a product or building or part-building a kit it is reasonable to suggest that you have accepted the product as your own. Under these circumstances, a return will not be accepted. Please note that items returned to us will be very carefully examined for signs of use or damage prior to any refund being processed. If the item has been used, and is obviously not in as-new condition, a deduction from the refund amount will be made of 50%. Exchanges: If you wish to exchange the item for an alternative item we will happily arrange this. A payment or refund of the difference may be required, allowing for carriage costs. We reserve the right to refuse further to accept further orders from you should you repeatedly return items. In all cases, our maximum possible refund payable will be the total paid to us by you. No payment or refund will be made for, but not limited to, disappointment, time lost or any consequential loss of any form whatsoever. No return postage will be refunded on change of mind returns. Returns Policy – In Store Purchases In store purchases are subject to our standard return and refund policy as displayed on the notices column by our main shop door. Cancellation of orders not already dispatched Please advise us as soon as possible that you wish to cancel off items from your order. We will amend your order immediately provided that the items have yet to be processed or dispatched. We are not able to cancel orders for items once postal or delivery services have been booked for those items. Please note that we reserve the right to restrict or refuse to offer our services to anyone who repeatedly orders and then later cancels items without good justification. Courier Deliveries Larger, more expensive or heavier items may be delivered by courier. All couriered items are fully trackable. Some couriers give the option, if you are not going to be in, to leave parcels in a "safe place". Where you select this option, our liability ends when the parcel receives a delivery scan. Subsequent loss (for example if someone steals the parcel from your garden shed or porch) is not our responsibility as you have to accept all liability when choosing this option on the courier website. Where a parcel is refused OR the courier company’s online tracking indicates that they have left a card and subsequently returned the parcel to us as the addressee has failed to either (1) arrange redelivery or (2) collect the parcel from the courier company’s depot, the order will be cancelled and refunded when the parcel is delivered back to our premises. In these circumstances, a deduction will be made from the refund for the courier company’s charge for both the outgoing parcel and it’s return to our premises. This will be a minimum of £12 including VAT. Economy Delivery By Courier - Tracking and Delivery Where you choose the cheaper, or Free, Economy Courier delivery option, the courier will scan and record the GPS location of delivery in lieu of a signature. In the event of a subsequent claim of non delivery, we regret that if the courier delivery confirmation shows a successful delivery to your address, then any subsequent loss is classed as theft after delivery, and is therefore theft from your property of goods already delivered - in this situation, we are unable to shoulder responsibility. Any likely delivery issues regarding your delivery address must be communicated to us at the time of order, otherwise we will reasonably assume that the delivery address will either have someone present who can take delivery OR that the property has a suitable safe place for the courier to leave the parcel. Couriers are used as we are unable to send many products by Royal Mail due to restrictions on weight, size and general postal regulations. Selecting an Express delivery option, priced £4.95 or above, will always require a signature and is recommended if you have any concerns about delivery issues. Goods Lost In Transit (Courier) Where goods are reported as not delivered when we have used a courier, a minimum of 7 days must be allowed for investigation by the courier. Courier loss claims are treated on a case by case basis. Where the courier provides evidence that the parcel has been delivered to your address, the claim will be considered closed. Please see "Economy Delivery By Courier" above for further information. Electronic non receipt claims: If you choose to open a non receipt claim via Paypal, a credit card chargeback or any other dispute resolution service, at that point any further communication will only be accepted via that service and we will robustly defend any claim. In the event we win a claim, no further correspondence will be entered into. In all cases, our maximum possible refund payable will be the total paid to us by you. No payment or refund will be made for, but not limited to, disappointment, time lost or any consequential loss of any form whatsoever. Goods Lost In Transit (Royal Mail) We use the post office for many deliveries. As many of our packages are too large to be posted through residential letter boxes, many will be held at your local sorting office for you to collect. We therefore ask that if you feel an excessive time has passed, once you have confirmed that we have dispatched a package you check with near neighbours (post officers often deliver "next door" if they call when you are out) and your local sorting office to check if an item has been held for you. Sorting offices usually require that ID is shown before they will check their shelves. Due to the way the post works, the Post Office will not accept that a package has gone missing until 15 working days minimum after posting. This in layman’s terms is 3 weeks. During this period our hands are tied and we must simply wait, as "lost" packages are often redelivered or returned to sender during this time. Many postal workers do not leave cards if you are out, they should but often do not. The Post Office Sorting Offices will rarely confirm that they have a package waiting for you by telephone and will only normally confirm in person if you present ID with the same address - this we imagine is to protect the mail and prevent fraud. In the event that you have checked with neighbours and the sorting office, and no trace can be found of the package, please contact us and we will look into it. If after 15 working days, the package has not arrived and it appears that the package has been lost in transit we will forward to you a document for you to sign to confirm that you have not received the package, and once we receive this back from you a duplicate order will be dispatched. If a refund, rather than a replacement, is required, we must wait until the post office have completed their investigation, after which we will credit the value of any lost goods to your card or Paypal account. Electronic non receipt claims: If you choose to open a non receipt claim via Paypal, a credit card chargeback or any other dispute resolution service, at that point any further communication will only be accepted via that service and we will robustly defend any claim. In the event we win a claim, no further correspondence will be entered into. In all cases, our maximum possible refund payable will be the total paid to us by you. No payment or refund will be made for, but not limited to, disappointment, time lost or any consequential loss of any form whatsoever. Your Rights The above does not affect any statutory rights that you may have under the various retail acts including the Sale and Supply Of Goods Act and the Distance Selling Regulations. Please note that we do not charge extra for deliveries to Highlands, Islands, Northern Ireland, Isle Of Man, Isle Of Wight or Channel Islands - however delivery to these destinations will be slower and the next day service (where offered) will only reduce the delivery time by a day - it is not possible to actually deliver next day to these locations. UK Mainland Next Day - orders required before 9AM weekdays. Economy/Free = 3 to 5 WORKING days (i.e. up to a week). Great product. Fitted as it should. 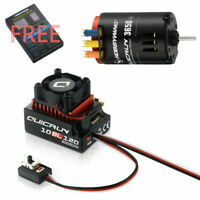 I used this to replace a nitro engine in a 1:10 car and it's brill - great power delivery and engine braking is amazing! The car is just as fast as nitro but without the constant tuning and no-starts! It really is waterproof having used in snow and mud and rinsed in shower! Recommended! 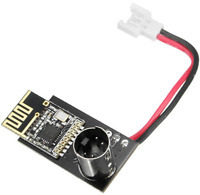 I have this on my Tamiya DF-02 with Li-po 2s and is FAST!!! Lot of torque. Easy to set up and very efficient. It runs cool(it is winter now, we'll see in the summer). 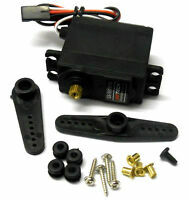 Nice punchy motor, motor and esc run nice and cool, easy setup, no complaints!